Chimney Repairs in Meath. Chimney Pointing, Chimney Rebuilds and Internal Chimney Repairs. Expert Chimney Contractors. Chimney repairs in Meath. Affordable and reliable chimney contractors throughout Co. Meath. Chimney’s just like any other part of the roof can fall into a state of dis-repair. 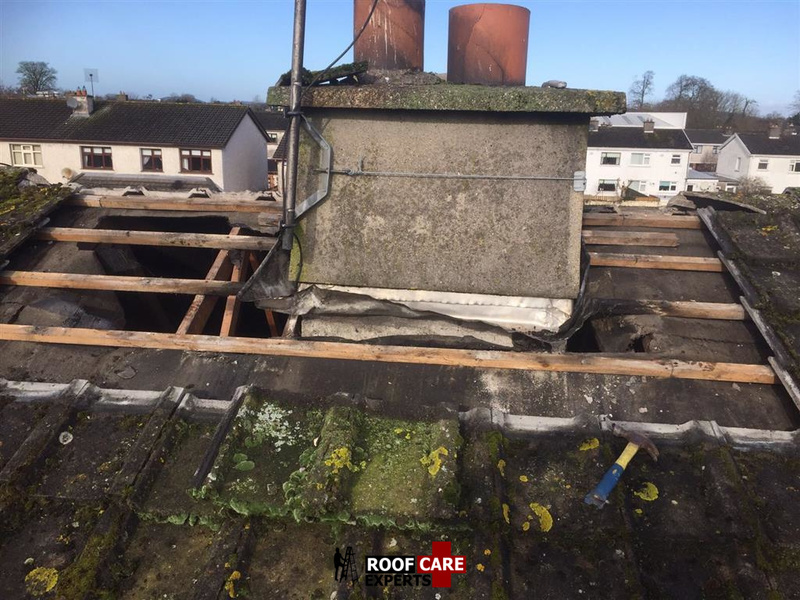 When you consider the heat that a chimney constantly is dealing with combined with the Irish weather it is no wonder that the brick work or lead flashing around a chimney can easily become damaged over time and start do dislodge. 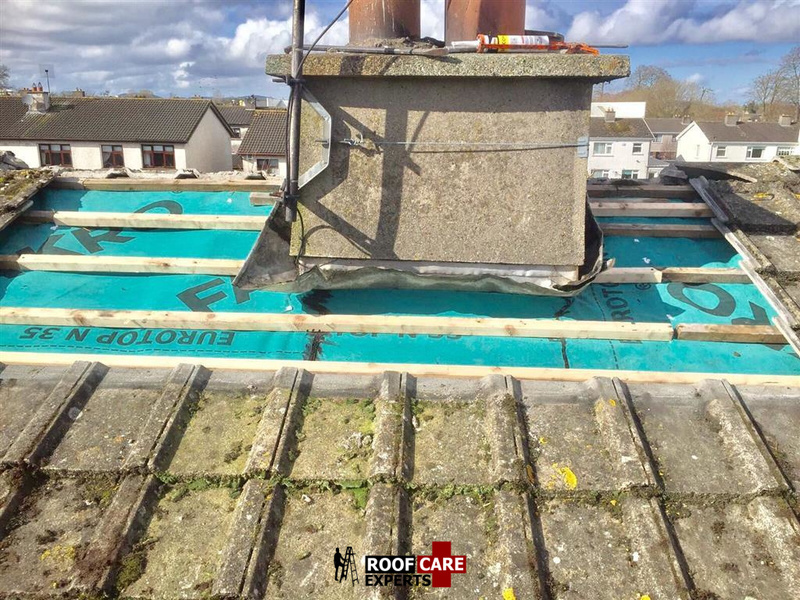 We at Roof Care in Meath can repair any style of a chimney. Regardless if its damage inside or if its structural issues. Chimney flashing is a major concern for a lot of owners as this can cause a lot of damage internally around the chimney area, cracks on chimney, dislodged or slipped tiles/slates around the chimney area. We can provide and install bird guards as well to make sure no bird is able to enter the chimney causing internal issues. Experts at carrying out roofing repairs in Co. Meath fast, efficiently and at an affordable price. Emergency call out service 7 days a week by calling us direct.